Scenic waterfalls hideaways, quaint villages and luxurious accommodations await you in Southern Vermont. 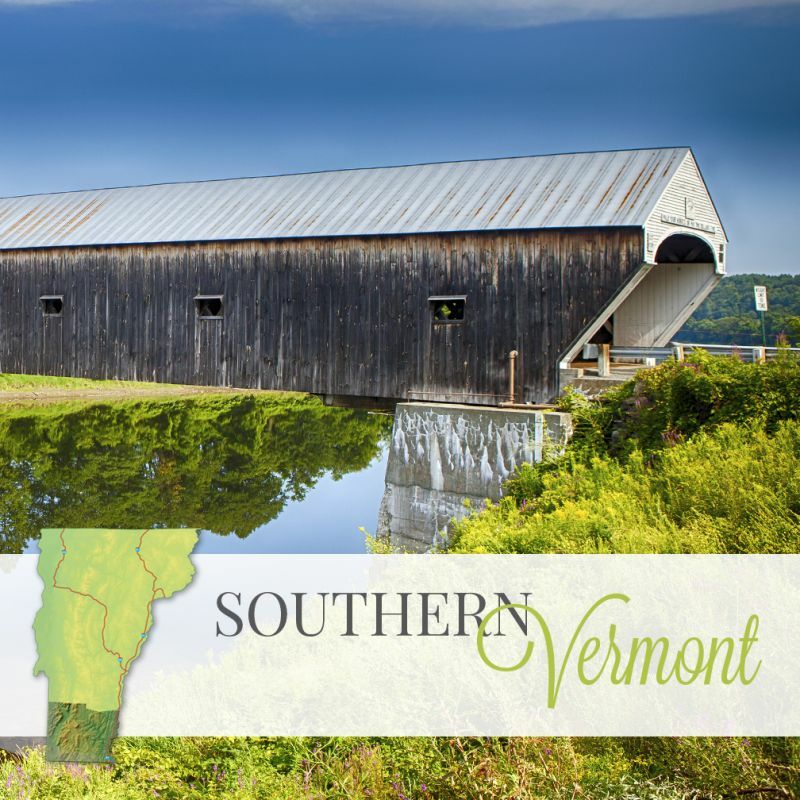 Give your guests a chance to experience quintessential Vermont as they explore all the art, culture, hospitality and endless treasures the southern region has to offer. The Bennington Area is a perfect gateway to the beauty of Vermont for those traveling from major east coast hubs like Boston, New York, and Albany. This city-dweller’s getaway blends the natural charm Vermont is so proud of while also featuring many significant historical sights and plenty of local art. Guests are sure to enjoy the numerous galleries and studios the area has to offer. Okemo Mountain Area is perfect for East coast couples with a passion for skiing. Not only is this resort one of Vermont’s most accessible from major eastern cities, but it also boasts some of the best skiing the state has to offer. Celebrate your nuptials slope side with rural charm and natural elegance. In warmer seasons, the area is a destination for golfing at one of the state’s best public courses, boating and fishing on stunning lakes, and hiking suited for every experience level. Looking for a little luxury? Explore the high-end bed and breakfasts, charming resorts, and endless shopping the Manchester area has to offer. The area is dotted with dozens of antique stores that range from specialty dealers to sprawling collections that lure shoppers into centuries of discovery; look for antique shows that spring up in the area, too. For more modern finds, don’t miss the Manchester Outlets, a huge collection of brand-name shops that are set up more like a pleasant small village than the sprawling mall-like outlets found elsewhere. 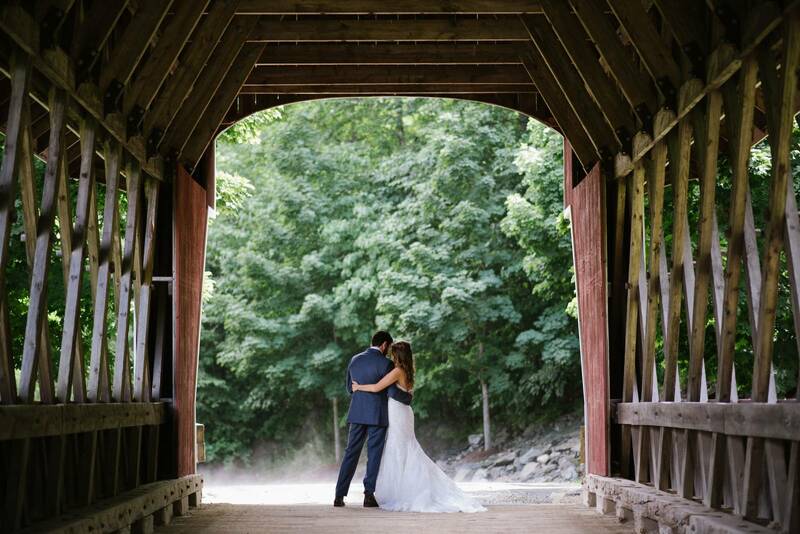 Bordering Massachusetts and New Hampshire, Brattleboro, Vermont is the perfect spot of a wedding weekend. With sweeping views of both the Green and White mountains and a rich local art community, beauty abounds in this little town. Step back in time with a Victorian era-inspired wedding at 1868 Crosby House, or explore history and tradition at the unique Stone Church, the 140-year-old church turned modern venue for a twist on the old and new.